As the united voice of the stone industry, the Natural Stone Council has been involved in most of the large initiatives within the industry since our establishment in 2003. We lead the charge when it comes to sustainability and research. We also support other associations in their efforts to promote, defend, and improve Genuine Stone® products. n 2003, the Natural Stone Council (NSC), a not-for-profit organization, was formed to unite a diverse industry of natural stone producers to actively promote the attributes of natural stone in commercial, residential, government, institutional, educational and all types of applications interior and exterior, and to proactively position natural stone as the premier construction material. The Natural Stone Council is comprised of twelve organizations representing every type of dimensional stone quarried and fabricated in the United States. 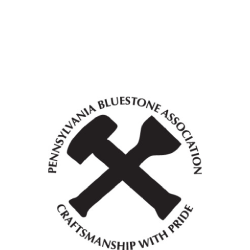 The members include Allied Stone Industries, Elberton Granite Association, Indiana Limestone Institute, Natural Stone Institute, Mason Contractors Association of America, National Building Granite Quarries Association, Natural Stone Alliance, New York State Bluestone Association, Northwest Granite Manufacturers Association, and Pennsylvania Bluestone Association. By pooling resources and launching a united branding campaign including the use of a Genuine Stone® coin logo, NSC has successfully established awareness for natural stone’s authenticity. Natural stone producers and retailers now have a trusted symbol by which designers and consumers can recognize natural stone and differentiate it from imitation stone products. The Natural Stone Council conducted significant market research among consumers and the trade regarding their impressions of stone. The research found that while people have a strong emotional attraction to stone, they also have a number of misperceptions about durability, maintenance, hygiene, cost, and the wide availability of styles and colors. Based on these findings and in response to their charter, the Natural Stone Council has invested a significant amount of resources to support a national branding effort. The campaign launched in 2007 and remains steady. This comprehensive Genuine Stone® multi-media campaign positions natural stone as a class of materials that uniquely enhances any building or landscaping project. The money raised through business and individual donation has enabled the NSC to make significant progress in their branding campaign for Genuine Stone™ as well as supporting the Sustainability Committee on benchmarking studies, industry awareness initiatives and development of a natural dimension stone standard. These efforts would be non-existent without the financial support of donors. The NSC relies on donations to survive. If your company is a member of any of the affiliate associations that make up the NSC, then YOU are also a member of the NSC. Each affiliate organization makes a small annual financial contribution to fund the NSC, but those contributions are nowhere near what the NSC needs to remain viable. Many of the member firms within those organizations also regularly donate. Individual contributions from employees of any affiliate organization company – regardless of the company’s donor status – are welcomed. 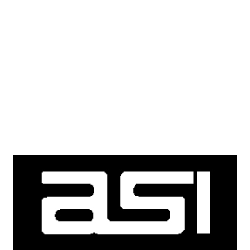 ASI is a not-for-profit organization made up of quarriers, fabricators, suppliers of natural building materials and related machinery and tools. ASI provides a venue for domestic stone companies to gather together and discuss common problems associated with the natural stone industry. The Elberton Granite Association, Inc. is the largest trade association of granite quarries and manufacturers in the United States. More than 250,000 granite memorials are manufactured annually by EGA firms and shipped throughout the United States. 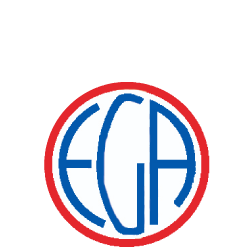 EGA represents more than 150 member firms. In addition to encouraging traditional memorialization and high standards of quality, EGA also maintains a voice in the national and international granite industry with regard to market development and technology. 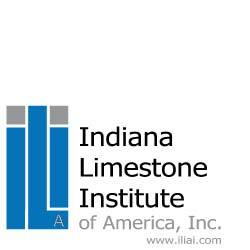 ILI is the coordinating agency for disseminating accurate, unbiased information about Indiana Limestone, primarily through a technical publication program featuring printed materials geared to various segments of the construction industry. If you have questions about limestone or the ILI, please contact us. 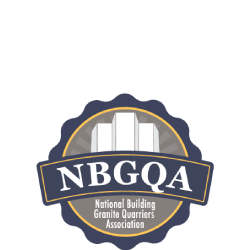 The National Building Granite Quarries Association serves the architectural profession, and its member companies are acknowledged worldwide as leaders in the industry. Collectively, these companies currently provide the major portion of architectural granite produced in the United States. If you have questions about granite or the NBGQA, please contact us. 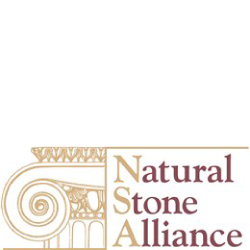 The Natural Stone Alliance is one of the lead sponsors of StonExpo, the number one North American stone industry event. The trade show provides the latest technology and first-rate education opportunities to those in the field. The Natural Stone Institute is a trade association representing every aspect of the natural stone industry. The current membership exceeds 2,000 members in over 50 countries. 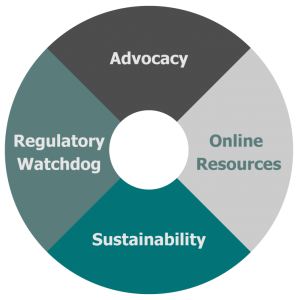 The association offers a wide array of technical and training resources, professional development opportunities, regulatory advocacy, and networking events. Two prominent publications—the Dimension Stone Design Manual and Building Stone Magazine—raise awareness within the natural stone industry and in the design community for best practices and uses of natural stone. 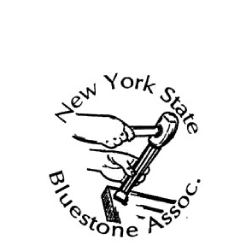 Bluestone is marketed in two types: dimensional and flagstone. Dimensional is used for stairsteps, window and door fixtures, countertops and tabletops, while flagstone is used for walkways and patios. Pennsylvania Bluestone is a unique sandstone found only in northeastern Pennsylvania and mostly in Susquehanna County. It derives its name from its typically blue color. Currently there are 105 members of the association. NSF International (www.nsf.org) is well positioned to assist the stone industry in its goals of establishing consensus standards and a sustainability certification program for dimensional stone products. NSF International is a not-for-profit, non-governmental, third-party organization, and has been a leader in standards development, product testing and certification, education, and risk-management for the protection of public health and safety for over 60 years. While focusing on food, water, consumer products, and the indoor environment, NSF develops consensus national standards, provides third-party conformity assessment services, and provides learning opportunities through its Center for Public Health Education while representing the interests of all stakeholders. NSF is widely recognized for its scientific and technical expertise in the health and environmental sciences. Its professional staff includes engineers, chemists, microbiologists, toxicologists, and environmental health professionals with broad experience serving the needs of both public and private organizations. Ecoform (www.ecoform.com) is the leading technical analysis company in the United States that focuses on the environmental performance of companies and their products and processes. Founded in 2006, but based on the combined 50 year history of its practitioners working through a variety of corporate and university organizations such as The University of Tennessee’s Center for Clean Products, the team brings a unique mix of skills to help your company achieve corporate environmental and social responsibility. Ecoform takes pride in its ability to work confidentially with leading corporations across multiple industry sectors to provide critical information that can be used to shape corporate policy. With Ecoform’s insight your company will be in a position to lower its environmental footprint, enhance its market brand and public perception, and often save valuable financial resources at the same time. Whether you need something as specific as a detailed product Life Cycle Assessment or as general as an overall corporate sustainability report, we can help. 611 N. Walnut Grove Ave.